Phineas Parkhurst Quimby (February 16, 1802 – January 16, 1866) was an American spiritual teacher, magnetizer, mesmerist, and inventor. His work is widely recognized as leading to the New Thought movement. Born in the small town of Lebanon, New Hampshire, Quimby was one of seven children and the son of a blacksmith. As was customary for his social and monetary status at that time, Quimby received little formal education. He suffered greatly from tuberculosis in his youth and was prescribed calomel by his doctor. Instead of curing his sickness, the calomel began to rot his teeth, and Quimby began experimenting with his own ideas for a cure. He found that intense excitement (such as galloping on his horse) alleviated his pain for brief periods of time, and became interested in the mind's ability to affect the body. It is unclear how he found his ultimate cure, but it was through his own devices, and not from the doctor's medicine. When Charles Poyen, a French mesmerist following in the tradition of Puységur, came to Belfast, Maine, on a lecture circuit about mesmerism around 1836, Quimby was intensely curious. Quimby attended one of Poyen's lectures in 1838, and immediately began plying the mesmerist with questions about the nature of animal magnetism and its powers. Poyen admitted that with proper training, anyone could become adept at administering hypnotism. Quimby left his job as watchmaker and followed Poyen's tour of New England for the subsequent two years (1838–1840), until he became proficient at applying mesmerism himself. Around this time Quimby encountered Lucius Burkmar, an uneducated youth who was particularly susceptible to hypnosis. Quimby and Lucius began a tour of their own, practicing mesmeric demonstrations in front of large crowds. Later Quimby and Lucius stopped touring and Quimby began claiming to heal people of ailments which doctors could not cure. Quimby explained to his patients that disease was caused by false beliefs, and that the cure was in the explanation of this. Many letters and documents of Quimby were released only after his son's death in 1921. 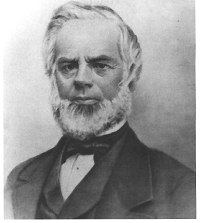 Quimby was a watch and clockmaker by trade and held several patents for mechanical devices. Julius Dresser and Annetta Dresser were both cured by Quimby, from what sickness it is unclear. Their son, Horatio, wrote extensively on Quimby's theories, collecting many of Quimby's papers in his book Health and the Inner Life: An Analytical and Historical Study of Spiritual Healing and Theories, and also in the book, The Collected Manuscripts of P.P. Quimby. The scholar of faith healing, Barry Morton, has argued that Quimby's constant tinkering with the mind cure method led him to make important discoveries towards the cure of psychosomatic illnesses. Although Quimby did not publish his findings himself, he did train many others in his methods and hence started a "gnostic" healing tradition. Some of his methods were adopted by John Alexander Dowie—who revolutionized Christian faith healing in the 1880s. Warren Felt Evans was one of the first individuals who wrote seriously on the teachings of Phineas Quimby. Mary Baker Eddy, the founder of Christian Science, has sometimes been cited as having used Quimby as inspiration for theology. Eddy was a patient of Quimby’s and shared his view that disease is rooted in a mental cause. Because of its theism, Christian Science differs from the teachings of Quimby. ^ Pickren, W.E. and Rutherford, A. (2010) A History of Modern Psychology in Context.John Wiley and Sons. p 93. ^ Dresser, A.G. (1899). The Philosophy of P.P. Quimby. Boston: George H. Ellis Co.
^ Holmes, (1944), p.358; Albanese, (1986), p.497. (a) US patent no.5650X, (held jointly with Job White: White & Quimby), dated 12 September 1829, for a "Circular Sawing Machine"
(c) US patent no.7197, (held by P.P. Quimby), dated 19 March 1850, for a "Steering Apparatus… a new and useful machine for Steering Ships and Steamboats". ^ Apparently, according to Clark (1982, p.104), another patent was issued to Quimby on 3 June 1829 for a "Chain Saw for Timber". Currently there is no record available for a patent on this date from the US Patent Office (and, currently, i.e., as at 21 September 2007, there are no records for any of the patent numbers ranging from X5475 to X5497 inclusive — i.e., from 30 April 1829 to 11 June 1829). ^ Note that (as at 11 January 2018) the Directory of American Tool and Machinery Patents has an entry for "US Patent: 8,232X: Sawing timber: Chain saw for sawing timber, wood, metal, marble, etc. ", and lists the patentee as Phineas P.Quimby, and the patent date is given as June 3, 1834 (N.B. 1834; not 1829). The entry has an additional annotation: "Most of the patents prior to 1836 were lost in the Dec. 1836 fire. Only about 2,000 of the almost 10,000 documents were recovered. Little is known about this patent. There are no patent drawings available. This patent is in the database for reference only." ^ Fuller, 1982, Mesmerism and the American Cure of Souls. Philadelphia: University of Pennsylvania Press. ^ See Teahan (March 1979). ^ "Christian Science is a religious teaching and only incidentally a healing method. Quimbyism was a healing method and only incidentally a religious teaching. If one examines the religious implications or aspects of Quimby’s thought, it is clear that in these terms it has nothing whatever in common with Christian Science.” (Gottschalk, Stephen. The Emergence of Christian Science in American Religious Life. Berkeley: University of California Press, 1973 - p130)"
^ “[Julius] Dresser sees the healing power [of Quimby] as a kind of clairvoyance, an ability to enter into the sick person’s mind and read his or her thoughts; Dresser makes no suggestion that this type of healing involves tapping into a divine strength, as Mrs. Eddy would later claim for her Christian Science.” (Gill, Gillian. Mary Baker Eddy. Cambridge, Massachusetts: Perseus Books, 1998 - p159). ^ A good composite of both Quimby, and the incompatibility of his ideas and practice with those of Eddy, can be found in these sources: Taves, Ann, Fits, Trances, & Visions: Experiencing Religion and Explaining Experience from Wesley to James. Princeton University Press 1999 (pp 212-218); Peel, Robert. Mary Baker Eddy: The Years of Discovery. Boston: Holt, Rinehart and Winston, 1966 (chapter, “Portland 1862”); Gill, Gillian. Mary Baker Eddy. Cambridge, Massachusetts: Perseus Books, 1998 (pp 131-146 & 230-233). Albanese, C.L., "Physic and Metaphysic in Nineteenth-Century America: Medical Sectarians and Religious Healing", Church History, Vol. 55, No. 4. (Dec., 1986), pp. 489–502. Anon, "The Strange Life of Mary Baker Eddy; Her Ability to Gain and Hold the Loyalty of Thousands a Notable Attribute. How She Founded Her Cult; That She Rewrote the Ideas of Phineas Quimby Always Vigorously Denied -- Many Times Attacked" [Obituary], New York Times, (5 December 1910), p. 3. Holmes, S.W., "Phineas Parkhurst Quimby: Scientist of Transcendentalism", The New England Quarterly, Vol.17, No.3, (September 1944), pp. 356–380. Morton, B. "John Alexander Dowie and the Invention of Modern Faith Healing, 1882-1889," paper presented at UNISA, June 2015. Teahan, John F., "Warren Felt Evans and Mental Healing: Romantic Idealism and Practical Mysticism in Nineteenth-Century America", Church History, Vol.48, No.1, (March 1979), pp. 63–80. This page was last edited on 10 February 2019, at 09:14 (UTC).